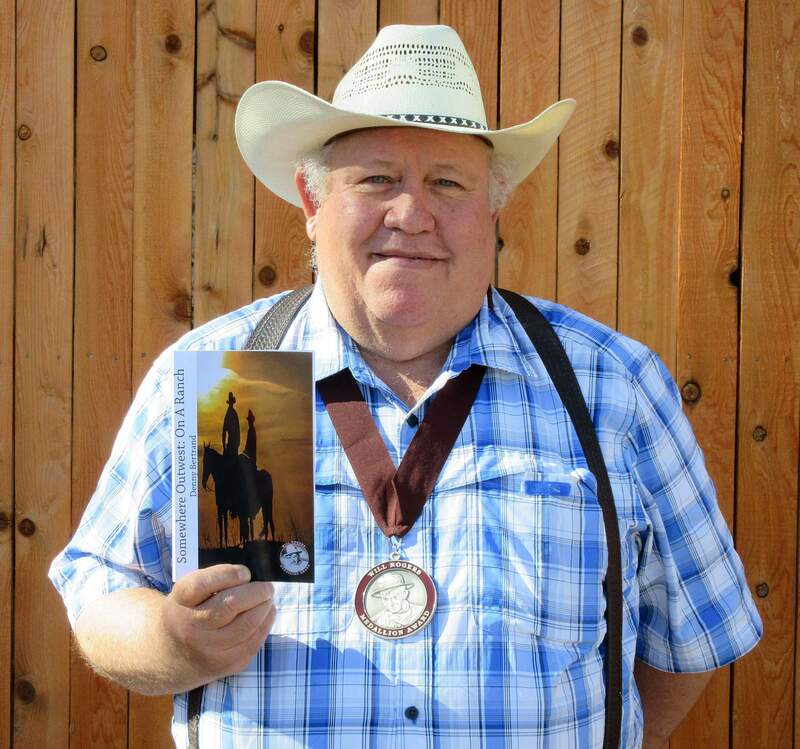 Denny Bertrand’s collection of humorous stories about ranching won the Will Rogers Silver Medallion award. It is the second book in a three-part series based on Bertrand’s life experiences on a Salida ranch. Cortez author Denny Bertrand’s stories on cowboy life continue to be recognized as part of a growing trend to bring back the dime novel. “A lot of Western writing is from the early 1900s. My stories are different because they focus on contemporary times based on my life experience working on a ranch,” he said. Somewhere Outwest: On a Ranch is Bertrand’s second in a trilogy about Petey and Cecil, two hardworking, accident-prone cowboys working 4,000 head of cattle. In October, the book won the Will Rogers Silver Medallion Award presented during the Red Steagall Cowboy Gathering in Fort Worth, Texas. Bertrand traveled to Las Vegas to appear on Ride TV, and be interviewed by the CB Cowgirls about the book, published by Red Dashboard. A former rancher and semiretired livestock auctioneer, Bertrand is at home in the West. His observational style is comforting and honest, and his agriculture expertise comes through in his storytelling. Stories of doctoring cattle on the range are very realistic and highlight the range of skills ranchers have. Fishing-line pranks, getting dragged through a bog and other misadventures also keep readers entertained in the latest book. Bertrand relies on people he knows to form his stories, but he doesn’t use real names or identify the town or county. Bertrand’s third book in the trilogy, Somewhere Outwest: In the Middle of Nowhere, was released last year. He is also working on a book for kids with stories about Pete and Cecil growing up in grade school. “I’ve got plenty of stories still to tell,” he said. Bertrand’s stories avoid violence or cursing and are appropriate for any age. They can be purchased at Maria’s Bookshop and Bar D Chuckwagon in Durango, at Notah Dineh in Cortez and on Amazon. His 2010 book, Western Poetry with Cowboy Flair, was also a Will Rogers Silver Medal winner in 2013 for cowboy humor.